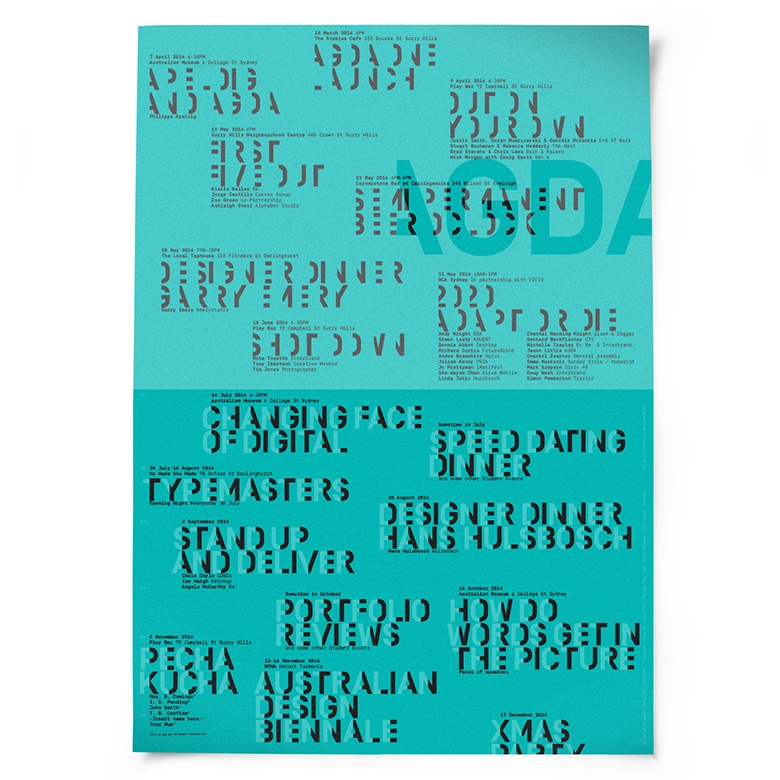 A year of two halves, the AGDA events calendar/poster follows that theme because, well, half a year has already passed by so fast, without the time to even create a calendar! With plenty of events still to come, we thought it best to let people know. The design takes the new AGDA identity system and pushes the open ended 'A' form across every letter, whilst also halving the poster visually with a white overprint. The white then completes the headlines of the 6 months to come. The design utilises BJ Ball’s latest paper addition, Colorplan. 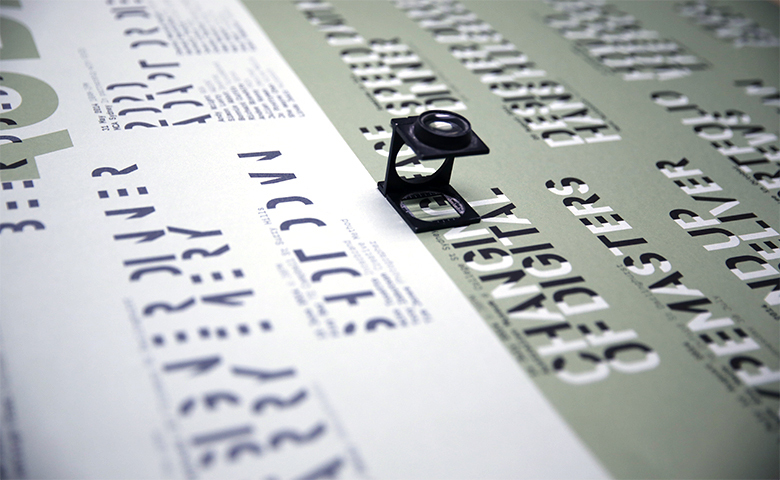 Together with the print experts at Oxygen, the calendar is printed in Black & White on ten different colour stock. Which colour will you get through the post?